The wind energy company that received a controversial extension in March to continue operating hundreds of old wind turbines in the Altamont Pass is now planning to shut them down, according to an email KQED has obtained. The company might also be replacing them with fewer new turbines, a move that would make its operation safer for birds. 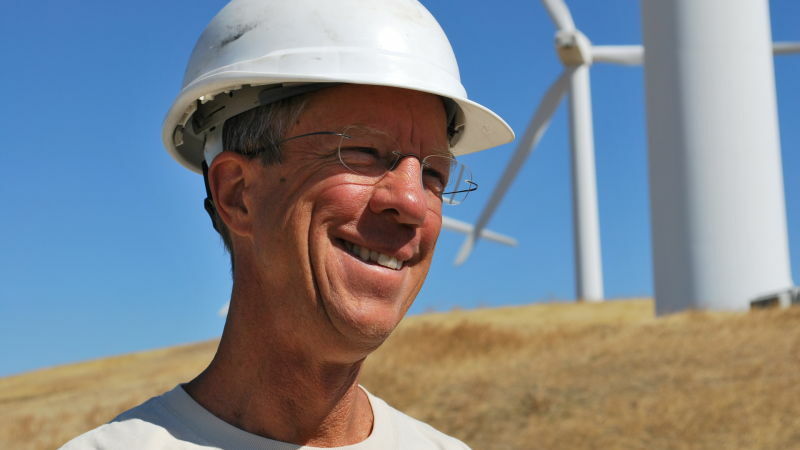 Altamont Winds, Inc. (AWI), one of the largest operators in the East Bay’s Altamont Pass Wind Resource Area, told the U.S. Fish and Wildlife Service (USFWS) in an Oct. 23 email that it is permanently shutting down all its turbines there by Sunday. The company operates 828 turbines in the Altamont. The sudden move is important, environmentalists say, because hundreds of birds die at the Altamont each year after getting hit by wind turbine blades, colliding with windmills, or becoming trapped inside them. “It’s a good outcome for birds in the Altamont,” says Michael Lynes, director of public policy for Audubon California, in Sacramento. Two other wind companies that own turbines in the Altamont, NextEra and EDF Renewable Energy, are replacing hundreds of old turbines with fewer, more powerful and more carefully sited turbines, a measure referred to as “repowering” that biologists say can reduce bird deaths. 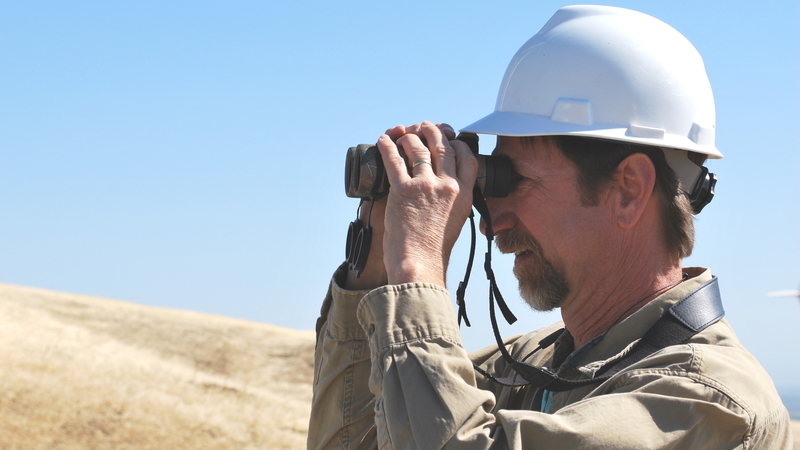 By keeping turbines out of low-lying areas of the Altamont, for example, companies could help golden eagles, says biologist Joe DiDonato, who is part of a team that has been monitoring 18 of these birds through radio transmitters. Golden eagles can hit a turbine as they fly low in the terrain in search of prey. AWI’s permit from Alameda County had required the company to remove its turbines this year, in order to reduce bird deaths. But the company instead applied for a three-year extension to the county, which oversees operation of most of the 78-square-mile Altamont Pass Wind Resource Area. In a letter to Alameda County, Jill Birchell, special agent in charge of the USFWS’ Office of Law Enforcement for California and Nevada wrote that turbines “owned and operated” by AWI in the Altamont had been associated with the death or injury of 67 golden eagles between 2004 and 2014. She recommended that the county deny AWI’s request to extend its operation permit for its turbines. But on March 24, the county’s board of supervisors gave AWI a controversial extension that allowed the Tracy wind company to continue operating its old-generation turbines until 2018. Abruptly last week, on Oct. 23, AWI vice president Bill Damon sent an email to the USFWS in Sacramento informing the agency of its decision to close down all its Altamont turbines by Sunday. 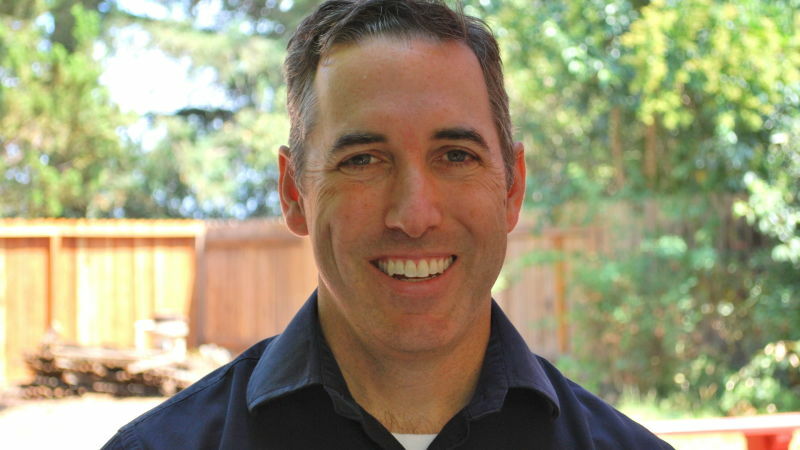 “The reduction of avian impacts was a primary factor that influenced our decision to discontinue operating our Altamont wind farms,” Damon wrote in his email. KQED has obtained a copy of the email, but neither Damon nor AWI president Rick Koebbe returned calls and emails seeking confirmation. 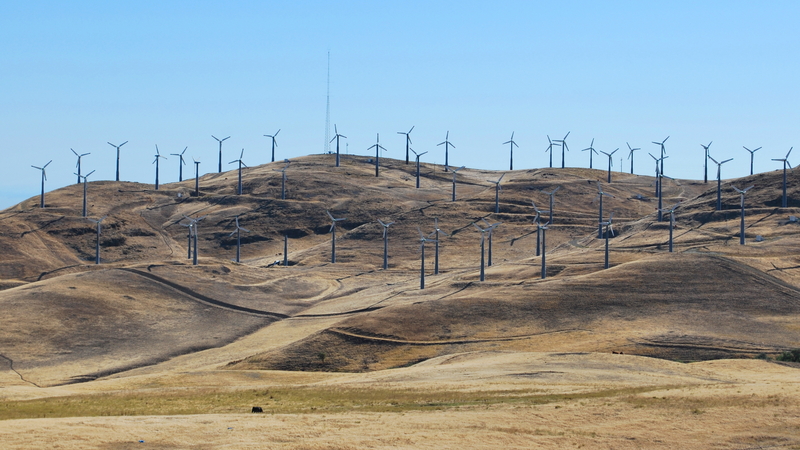 In the early 1980s, wind companies installed 7,000 turbines in the Altamont Pass. Shortly after the wind farms opened, scientists discovered the turbines were killing hundreds of birds of prey each year. In 2005, several local chapters of the Audubon Society, as well as other environmental groups, sued to force wind companies to protect birds in the Altamont. The settlement reached in 2007 required Alameda County and wind companies to cut bird mortality in half by 2009. To that end, companies agreed to remove turbines that biologists deemed to be most dangerous to birds. They also began to shut down their turbines during the winter months, when electricity demand is lowest and bird activity highest. The Altamont Pass has only about 3,000 turbines now. But statistics compiled by the county in 2014 show bird mortality has decreased by only 25 to 40 percent, depending on the species. AWI, which is based in Tracy, has applied for a permit from Alameda County to replace 511 of its turbines with 33 new turbines, says Sandra Rivera, of the Alameda County Planning Department. Rivera says the East County Board of Zoning Adjustments is scheduled to hear AWI’s request for this repowering permit on Nov. 19. The new 33 turbines would together produce as much energy as the 511 old turbines, a total of 54 MW. This is equivalent to one sixth of the Altamont’s total current capacity. The county requires companies to remove any turbines they shut down within a year of doing so, says Rivera. Golden eagles are of particular concern in the Altamont Pass, which is part of the densest nesting area for these raptors in the world, Bell says. 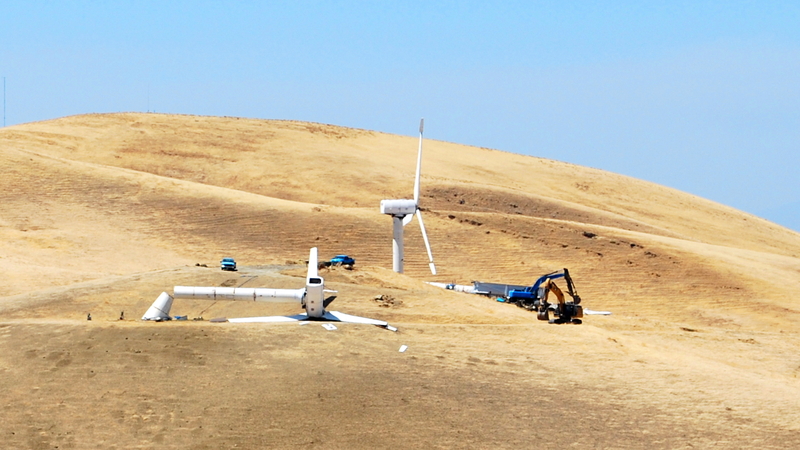 According to Alameda County estimates, wind turbines at Altamont killed some 35 golden eagles in 2013. Golden eagles are protected by federal law and it’s illegal to kill a single eagle. Wind energy has tripled in the country in the past seven years and the federal government has stepped up enforcement of the Bald and Golden Eagle Protection Act and the Migratory Bird Treaty Act. The Department of Justice, with help from the USFWS, has prosecuted two wind energy companies—Duke Energy Renewables and PacifiCorp Energy—for the killing of golden eagles and other birds on their wind farms in Wyoming. And in 2014 the USFWS awarded its first so-called eagle “take” permit. These permits allow wind energy companies to kill a small number of golden eagles each year. “The prosecution of those two companies certainly sent a message to companies across the country that the Service will, and can, prosecute companies for violation of the Bald and Golden Eagle Act,” says U.S. Fish and Wildlife Service (USFWS) spokesperson Scott Flaherty. The USFWS has 16 open investigations on wind energy companies around the country, Flaherty says. The agency has opened a criminal investigation of one company doing business in the Altamont concerning its turbines’ “take” of golden eagles, Birchell said in an email in July. Birchell wouldn’t say which company the agency was investigating. “It’s the right thing to do,” says Bell. Nice well rounded documentary Gabriela Quiros. If all the eagles being killed at Altamont were actually being reported and research not rigged to show declines they would shut down all these killers tomorrow. KQED including all reporters, need to do better job researching for these stories and not talk with experts biased by a payday and harnessed with gag orders. This includes the Audubon group receiving millions in wind industry pay offs. In the 1998-2003 Smallwood Altamont studies, a total of 56 eagle carcasses(about 11 per year) were found around the small turbines and his yearly estimates came out to 116 eagles being killed by these turbines each year. This story states that for 2013, an estimate of 35 eagles were killed in 2013. This estimate is industry disinformation not even close to being true because the eagle carcass is way up. Also notice the source for this bogus statement………..According to Alameda County estimates. And just who might this be? The tax collector? Here is the “reported” 2013 Altamont EAGLE CARCASS COUNT given to me by the USFWS . The real number of eagles killed however is far higher due to wind farm personnel not reporting carcasses, mortally wounded eagles that wander off never to be found and wounded eagles being carried off the places like the Alexander Lindsey Museum that are not counted as turbine fatalities. For 2014 the Altamont eagle carcass numbers reported are even higher. Everyone watching or reading stories like this has to keep in mind that there is a huge difference between actually reducing eagle mortality and reports like this one having data taken from non scientific studies. Anyway Audubon wants to slice it or spin it, the actual eagle body count is now much higher at Altamont with the new larger “bird friendly” turbines. turbines stopped killing eagles. Do not ever believe it. In fact no one should ever believe any statements coming from this industry. year by collisions with windows. We are talking about fraud from the media, from conservation groups, from the scientific community and fraud from the government covering up a massive slaughter taking place from wind turbines to highly protected species. Windows have nothing to do with these problems. And for the record windows have killed almost no eagles ever but wind turbines have killed thousands and thousands and thousands of them. What percentage of those birds are eagles? None would be my guess. Raptors see in ultraviolet, so for office towers with large windows it would be a trivial thing to install invisible to human UV light emitting diodes in the glass, that the birds could see and avoid. Here is a Science lesson for KQED staff…………. I can take every wind industry mortality study going back to 1985 and show anyone exactly how these studies were rigged to HIDE mortality. These are the studies being used for disinformation and bogus mortality comparisons by the industry. methodology in their studies and do not deliberately avoid real studies that would expose the truth. A real scientist would also not want to conduct fake studies or pay attention to industry gag orders. This charade has been going on since 1985, the year the last legitimate wind industry study was published. But even this study was flawed, because in the discussion it was suggested by the author (McCrary) that birds being killed at a rate of 34.4 per/MW in a desert habitat with low bird populations is insignificant. At 34.4 birds per MW the wind industry’s turbines in this country are killing about 2.5 million per year. But this number is still not even close because most areas have higher bird densities than California’s San Gorgonio area outside of Palm Springs. Then compounding this devastating turbine slaughter is the fact that many of these fatalities are to highly protected species like the golden eagle. Some are even endangered species. It is not Science when this industry worked for years behind the scenes to clear the hurdles facing them. The primary hurdles in the 1990’s were environmental dealing with the slaughter of rare species. repository in Denver was established to handle the flood of eagle and rare species slaughtered by the expansion of wind energy. Also on Jan 1 1997 new laws went on the books and FWS agents were silenced with strict gag orders they had never had before. From this date forward agents were now facing up to three years in prison if they revealed unapproved information. 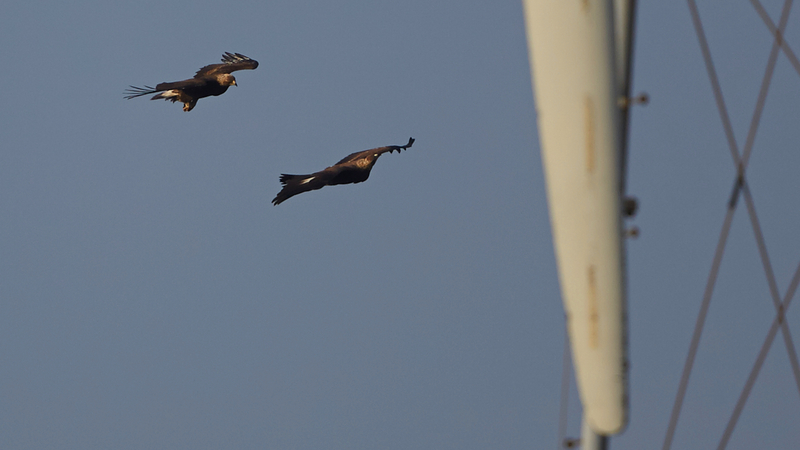 Wind turbines are a primary source of eagle mortality. 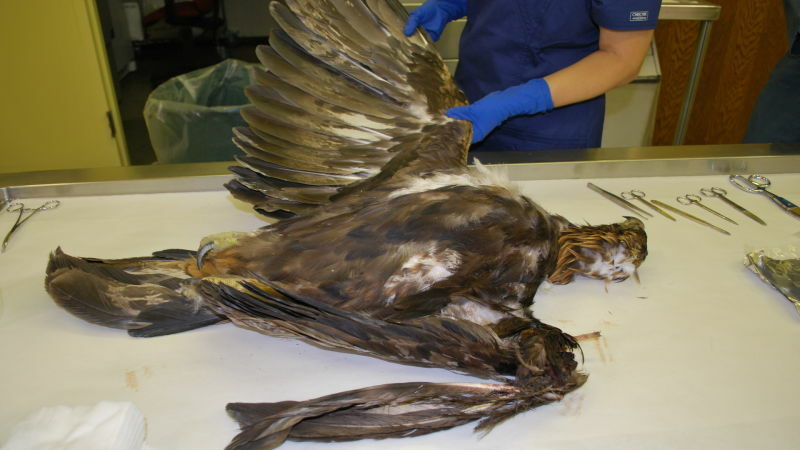 Since 1997 the Denver Repository has received approximately 31,000 unaccounted for bald and golden eagles carcasses. AND, that does not even speak to the issue of “efficiency” of wind generating of power and the comparative cost there in. reassessment is in order. In a nut shell, wind turbines are not worth it, it’s a looser all the way around. How about, No, it is not right at all. Where is that premise considered or examined. By the way, who is defining what is “right” in this context? The wind industry has ridden roughshod over rights all across this country…so surely they can not be extolling the rights of anyone or anything as the basis for change. Birds will be better protected? says who? based on what evidence? I say this writer based the entire article on false premises and provable falsehoods and has helped move along a narrative of improvement that may be totally unwarranted. How about how the author presents the replacement of broken down windmills, way past their 30 year service life, as if this were climate cronies (who make a business of exploiting state handouts voted in by the eternally clueless SF public) suddenly growing morals. I don’t understand how there isn’t a feasible solution to have both coexist in the same environment. Ultrasonic technology that is used to deter birds from airport runways could be integrated with the new turbines to create a wall of repulsive noise around the spinning blades, no? Take the subsidies away and the “wind farms” go away, too. Funny how capitalism works. California again, and again implements double standards. It passes a state wide ban on lead ammunition to protect condors already protected in a lead free zone under the premise of very questionable “science” and heavy lobbying from anti-hunting groups. Now big money gets a three year extension to continue doing whatever it pleases… BTW, domestic cats kill millions of birds state wide every year and no one is screaming for an outdoor ban of domestic cats. I’m not taking any side on these issues, but the state needs to. Double standards don’t serve anyone. 12 in. Mill Finish Aluminum Internally Braced Wind Turbine – I don’t see a reason why this design couldn’t be scaled up, and used instead of the big airplane style propeller type. In fact the base could house all of the machinery for all weather servicing in a tidy bird friendly package. Bird death seems a small concern, given the overall benefits of wind power. What benefit? The golden kiss for Seimens paid from the public treasury? Killing American eagles, something the government won’t allow even Indian tribes? Energy costs? Coal fired power delivers 23 times as much power dollar for dollar as a wind farm. Germany is actually in the stages of constructing new technology coal fired plants themselves. They have already gone down the path of renewable power, and have seen how it absolutely fails to deliver the power required on the basis required. So, Germany is now using these new super critical large-scale plants, almost 20 of them supplying power to the grids in Germany. Brown stealing money from my wallet to keep his buddies in the windmill business is rude. Obama giving Brown’s buddies carte blanche to kill as many American eagles as they can is mean, nasty, thuggish, and a lot of other adjectives you could apply. Boi lay off my teacher. She dint do nothing to you and nobodys stealing money from you to kill American Eagles. I ride an American Eagle to school every day, I would know. @papertiger0:disqus I think your just salty that Obama is president. We know you don’t like him. You shouldn’t be able to give permits to kill an iconic species of birds.